Campaigns | Flynn and Friends, Inc. 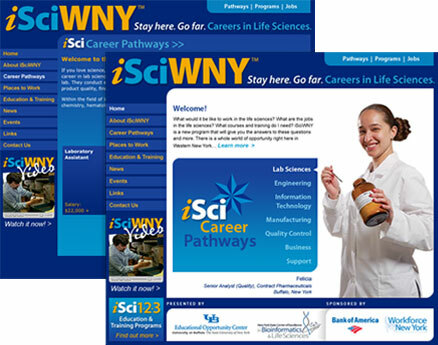 Engage and inform schools and workforce development agencies about the career opportunities available in the local life sciences industry. 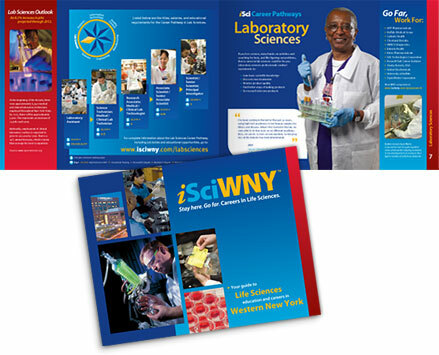 For this project, we took the approach of creating a “sales” kit that packaged a variety of useful information about iSciWNY in a simple yet distinctive way. Within the kit, we included an 8 ½ x 11 brochure (on page 2; click below to view), posters, window clings, and smaller vest pocket brochures and pencils for distribution. All of the materials pointed people to the website (on page 3; click below to view). 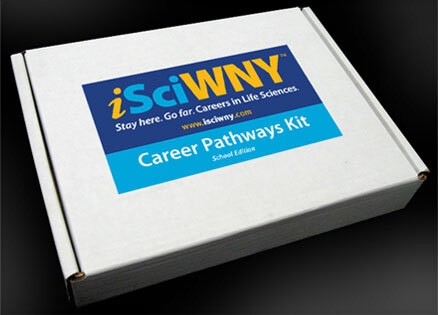 This kit was sent to middle and high school teachers, career counselors, and leaders, as well as various workforce development agencies.